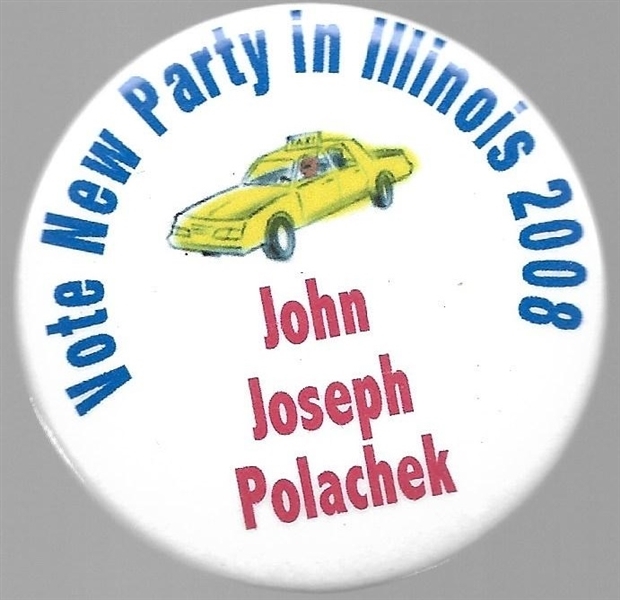 John Joseph Polachek was a Chicago taxi driver who ran for president in 2008. This 2 1/4 inch celluloid is a Polachek for president celluloid picturing, of course, a taxi cab. Excellent condition.